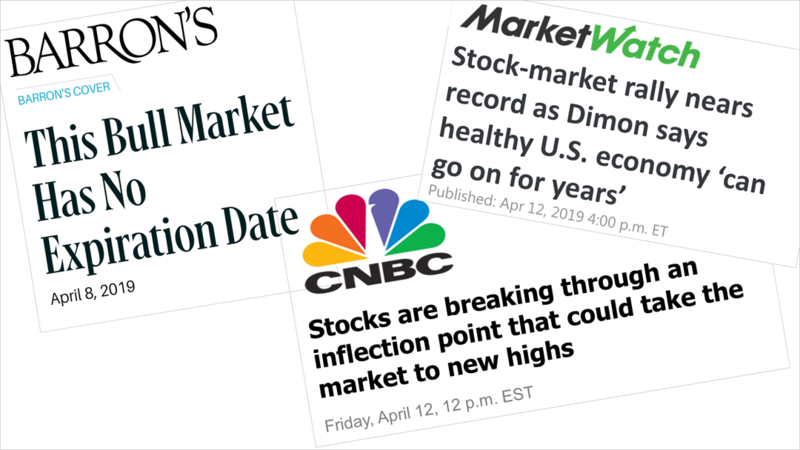 This past week's cover of Barron's, a financial magazine, said the 10-year old market could go on for years, and Friday's headlines were similarly ebullient. 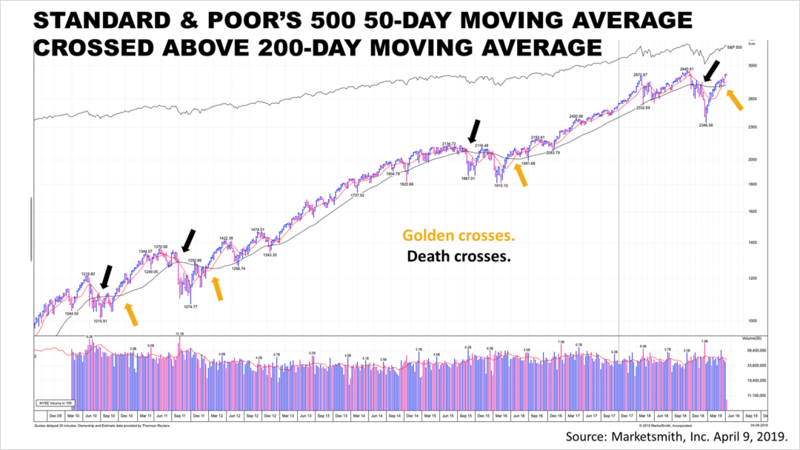 The S&P 500's 50-day moving average crossed above its 200-day moving average, forming a "golden cross," which market technicians believe is a bullish indicator. Golden crosses have given pretty good market signals and occur infrequently. 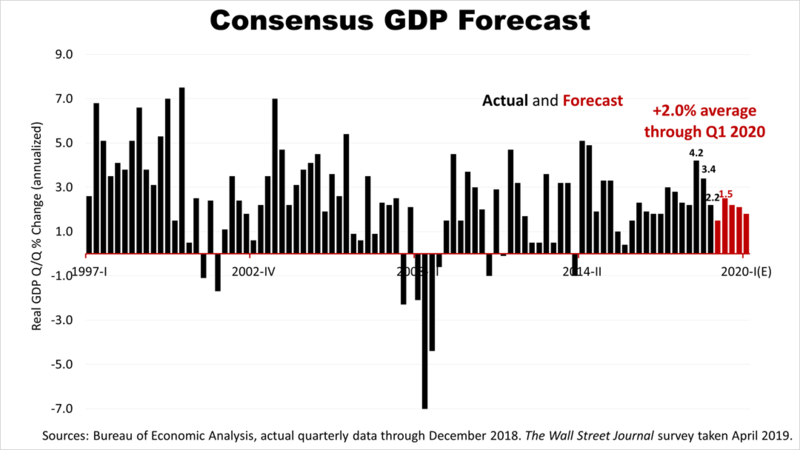 The 60 economists surveyed monthly by The Wall Street Journal in early April expected an average 2% rate of quarterly GDP growth over the five quarters ahead. They expected 1.5% growth in the first quarter, boosting their expectations from a month ago from 1.3%. 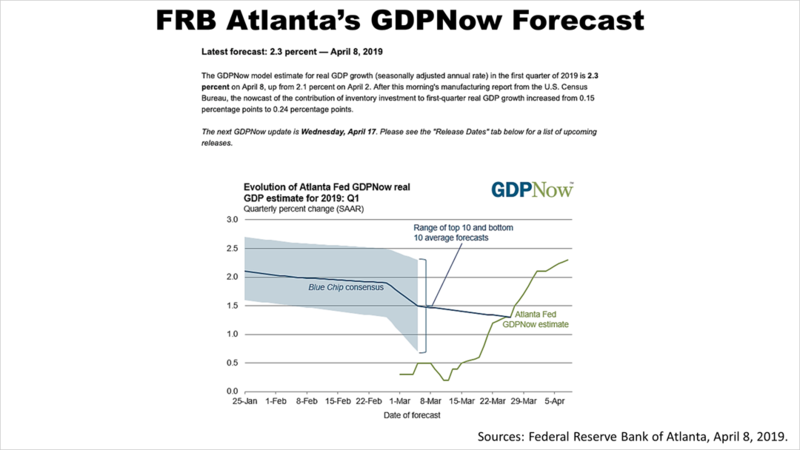 The Atlanta Fed's GDPNow forecast, which grows more accurate in periods like we're in now — when a quarter is over, but the Commerce Department has not announced the official growth rate of the U.S. — is much more upbeat. The Atlanta Fed's forecast for a first-quarter rate of growth of 2.3% is well above the consensus forecast of the economists polled in The Wall Street Journal and the consensus forecast from economists polled by Blue Chip Econometrics. This makes a good economic surprise a real possibility. The Standard & Poor's 500 index closed at 2,907.41, up slightly from 2,892.74 last Friday. It was the third straight weekly gain. Just two weeks ago, stock lost 1.9% in a single day! A key growth investment in a broadly diversified portfolio, the S&P 500 index suffered a 19.8% plunge between September 20th, 2018's all-time closing high to the Christmas Eve closing low of 2,351.10. 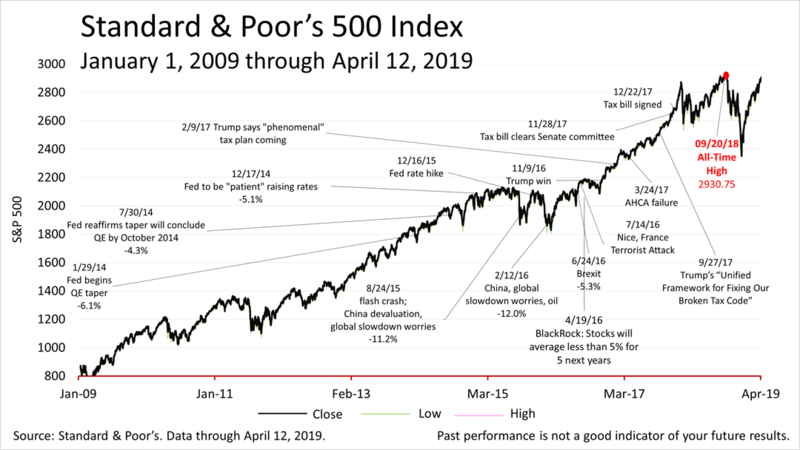 The headlines about how the bull market could go on for years and the "golden cross" pattern are no guarantee that the stock market will rise. 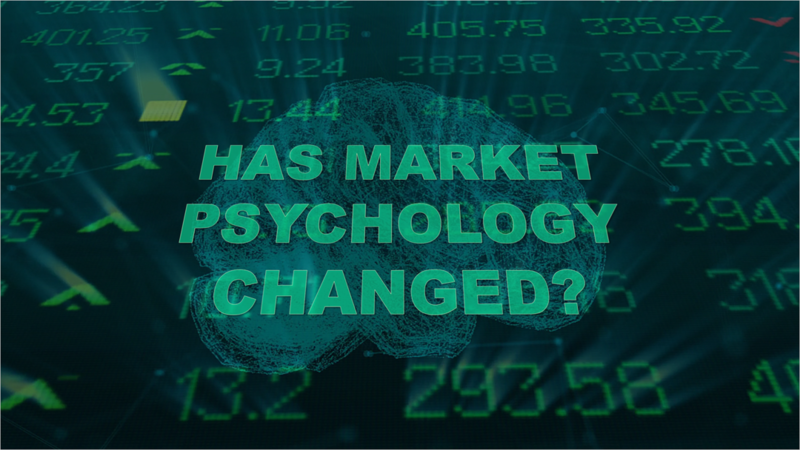 In fact, the change in market psychology could be a contra-indicator, a sign that investor sentiment has grown overly optimistic. No one can predict the market's next move. Underlying fundamentals, which drive stocks, remained strong last week, with the National Federation of Independent Business reporting that optimism among small-business owners, the biggest driver of U.S. business, was down from last year's peak but remained well above the historical norm. This article was written by a veteran financial journalist based on data compiled and analyzed by independent economist, Fritz Meyer. While these are sources we believe to be reliable, the information is not intended to be used as financial or tax advice without consulting a professional about your personal situation. Tax laws are subject to change. Indices are unmanaged and not available for direct investment. Investments with higher return potential carry greater risk for loss. Past performance is not an indicator of your future results. No one can predict the future of the stock market or any investment, and past performance is never a guarantee of your future results.